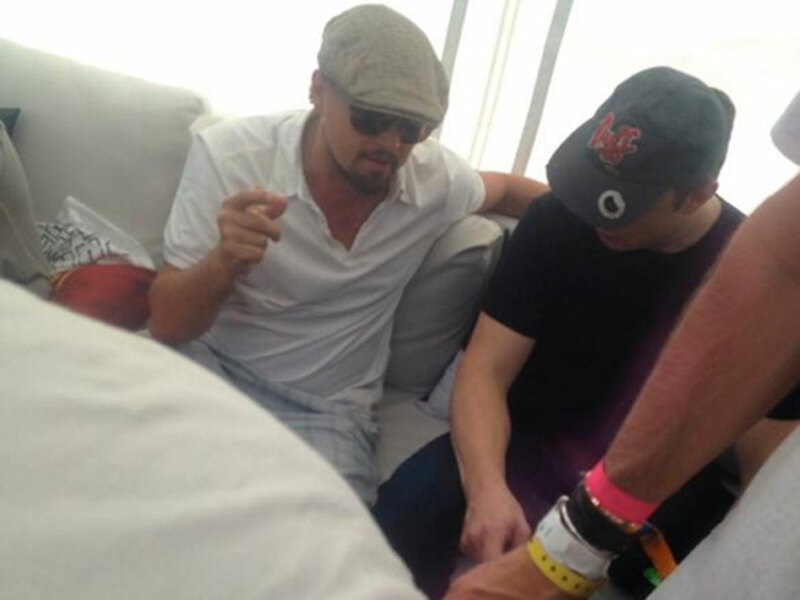 Leonardo DiCaprio unleashed his dance moves at Coachella 2014 this weekend and they're pretty special. Leonardo DiCaprio dancing at Coachella 2014 is a sight to behold. The actor unleashed his dance moves as he watched MGMT at the Californian festival over the weekend and a cheeky fan posted the video on Instagram (thank you, thank you, thank you). Now, we have to say that we’re not 100 per cent it is Leo, but judging from other photos of the star that were posted on social media that day, we’d say it’s pretty likely it is him. The flat cap, white t-shirt and shorts he’s wearing all look the same.